When data from several source schemata are to be integrated, it is essential that the resulting data in the global schema be consistent. This problem has been studied extensively for the monogranular case, in which all domains are flat. However, data involving spatial and/or temporal attributes are often represented at different levels of granularity in different source schemata. 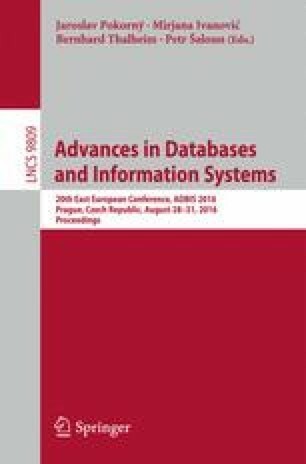 In this work, the beginnings of a framework for addressing data integration in multigranular contexts are developed. The contribution is twofold. First, a model of multigranular attributes which is based upon partial orders which are augmented with partial lattice-like operations is developed. These operations are specifically designed to model the kind of dependencies which occur in multigranular modelling, particularly in the presence of aggregation operations. Second, the notion of a thematic multigranular comparison dependency, generalizing ordinary functional and order dependencies but specifically designed to model the kinds of functional and order dependencies which arise in the multigranular context, is developed. The work of M. Andrea Rodríguez, as well as a six-week visit of Stephen J. Hegner to Concepción, during which many of the ideas reported here were developed, were partly funded by Fondecyt-Conicyt grant number 1140428. Loreto Bravo was initially a collaborator, but was unable to continue due to other commitments. The authors gratefully acknowledge her contributions and insights during the early phases of this investigation.